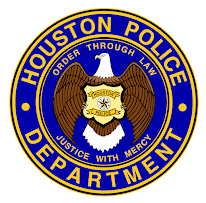 Houston Police Department: "Police Pirates"
More than 50 Houston area police officers donned different uniforms - Pirates outfits - to storm and take over a car wash to wash as many cars as they possibly could last Saturday, all to benefit Special Olympics. The “police pirates” greeted customers and gave away goodies to children during the car wash fundraiser at the CARisma Wash at 5203 Kirby Drive. The event was extremely successful. Over $3300 dollars was raised and will to go toward the Special Olympics. This is an amazing police/community relationship in the making. Awesome work HPD!! 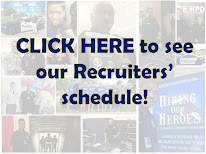 Thanks for letting us know the things HPD does - without this blog and Facebook, we wouldn't know a thing about the great things being done by HPD. Arrrrrgghhhhh be giving to a wonderful charity. Great work HPD! Is that Chief Lumpkin! I can't wait for the next firearms meeting, I'm gonna bust is make up wearin chops:)!! !